The BAD World Tour was Michael’s first concert tour as a solo artist. The legendary tour included 123 concerts attended by more than 4.4 million fans over sixteen months. 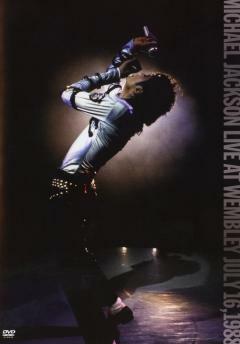 When it concluded, the tour had shattered all previous touring records for attendance and total gross revenue adding three new entries in the Guinness World Records for the largest grossing tour in history, the tour with the largest attended audience and the most sold out shows at Wembley Stadium. This is the DVD of the July 16, 1988 concert at Wembley Stadium. This concert is one complete show, exactly as Michael performed it for Prince Charles, Princess Diana and the 72,000 fans who were in the audience for the sold out show. Recently unearthed, the DVD was sourced from Michael Jackson’s personal VHS copy of the performance, this footage is the only known copy of the show to exist. The visuals have been restored and the audio quality enhanced. 17. Man In The Mirror (Encore).